Marks and Spencer (M & S), in partnership with Octopus Energy (the British renewable energy experts and the only energy supplier recommended by Which?) have teamed up to create the new M&S Energy launching from 29 September 2018. We are looking for professional and energetic Brand Ambassadors with the ability to build great rapport and relationships with both customers and colleagues in Marks and Spencer’s stores. You’ll help drive sales and engage all customers, advising on our energy products and services tailored to suit their needs. This is a great opportunity for you to work with two great brands, with one clear message to customers, that the new M&S Energy is great for the planet and also your pocket! 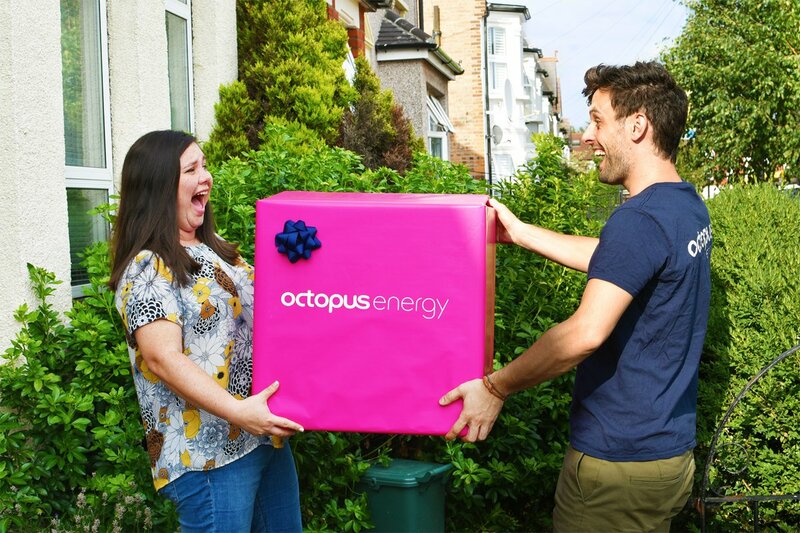 Apart from Which?, Octopus Energy has also been rated 5 stars on Trustpilot for customer service, Uswitch supplier of the year winner 2018 and UK customer experience award winner 2017. We believe in transparency, honesty and simplicity. Role model within M&S Energy, creating an environment that is customer focused and high performing, through a proactive and professional approach to customers. You’ll help drive sales through customer engagement by listening to customer needs, having detailed conversations, keeping promises and promoting teamwork. Achieve daily and weekly K.P.I’s. Approaching customers and generating interest in M & S Energy products and tariffs. Engaging with the Store Manager and their teams to create the best possible in-store experience for customers and drive sales. Confident and naturally driven to achieve all sales, customer and compliance targets. Ability to build great rapport and relationships with both customers and colleagues. You must be a self motivated, resilient individual, who can adapt within a fast paced environment. Strong communication skills with the ability to fully engage customers, adapting to different styles and situations. Proven track record in achieving and exceeding individual targets. Experience within a retail environment would be advantageous. If you are interested in being part of this exciting venture please apply through our talent@octopus.energy address and we will get back to you directly with regards to next steps.